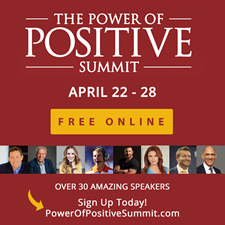 Join us and over 30 leading experts sharing strategies on how to stay positive, overcome challenges and make a greater difference. Speakers Include: Jon Gordon, John Maxwell, Rachel Hollis, Coach Dabo Swinney, Ed Mylett, Sean McVay, Roma Downey, Tony Dungy and many more! She was an Uber driver who picked me up at the Dodgers spring training last year. I had just spoken to the team and had to quickly get to the airport to make my flight. I wasn't sure if I would find a ride to the airport but the second I pressed confirm pickup, the car was there with the door open. She had just dropped someone off. I never had that happen before. It was a nice car and I asked her why she drove. She said she had just lost her job and was supporting her two kids and husband who had also just lost his job. I could tell she was struggling and offered her some positive words about her family and future. She asked what I did and when I told her she said she loved those kinds of books and listened to inspirational messages. I gave her my website and promised to send her a book if she emailed me. That Uber driver now works with me and our company. Her name is Marlo and she is thriving! It's a great example that life can change in a moment. You never know where your next opportunity or new great team member will come from. You never know how your life can and will change from a meeting, an event, a call from an old friend, a chance encounter. Life is not static, it's dynamic. It's always changing. Don't get stuck thinking that your life can't and won't change for the better. Don't go through life focusing on your problems with your head down. Instead keep your eyes open and your head up. Be open to new possibilities. Be kind to people. Take action. Believe that something great is coming your way. Maintain hope. Believe in what's possible. Marlo no longer drives a car for Uber. Now she manages our Positive University Podcast. She works with potential clients who want to book me or one of our speakers for an event. She helps with event logistics. She works from home and is able to spend more time with her children. Her husband found another job at a bank. Marlo has made our team and company better and our fateful meeting is proof that no matter what we are going through at the moment, our lives and teams can change for the better. 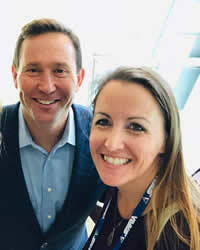 day learning from Jon Gordon and his Head of Training, Julie Nee. Want to teach others these powerful principles? 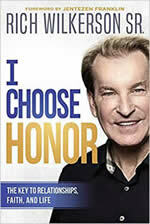 This week my good friend Rich Wilkerson Sr. releases an important book on the life-changing power of honor. Trying harder doesn’t always improve relationships or bring promotion but choosing to live with honor will strengthen relationships and elevate your life and career. Available to order anywhere books are sold including Amazon.